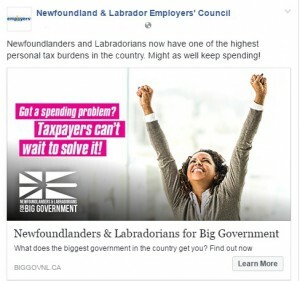 The Employers’ Council has ramped up our Newfoundlanders and Labradorians for Big Government campaign following the premier’s announcement that there will be no fall supplemental budget. 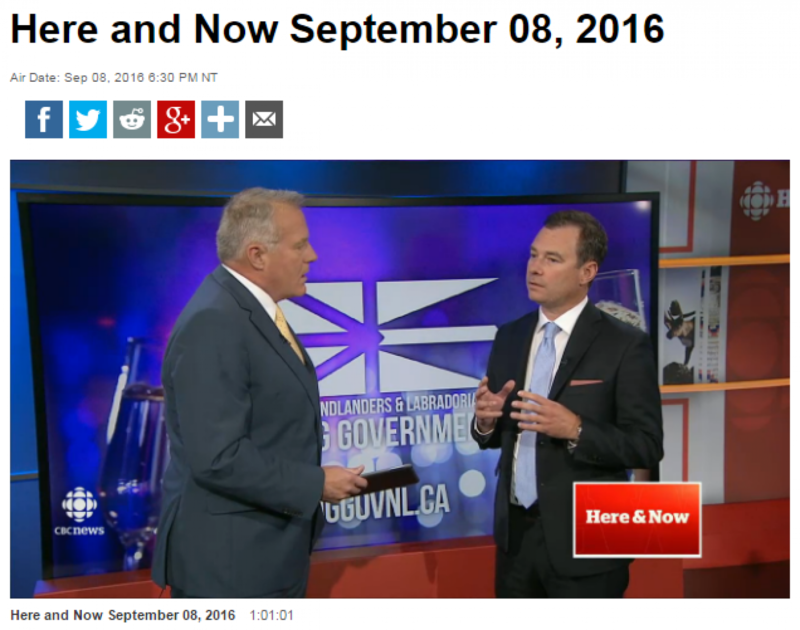 During segments on both CBC Here & Now and NTV Evening News yesterday the Employers’ Council launched new BigGovNL online videos and TV ads. The satirical advertising campaign is designed to drive citizens to http://BigGovNL.ca to get the facts on government spending and take action against increased taxation. On the site, citizens can contact their MHA and the entire Liberal cabinet via email with just a few clicks and/or post to social media.